Today I’m chatting with Janssen Bradshaw of Everyday Reading, and she and I are going to chat about our favorite summer reading picks. Summer is a great time to chip away at your book list, so whether you are reading a hard copy or listening on Audible, make reading a priority, because when YOU read, your KIDS will read. I will link to ALL the books we talked about below, but definitely, check out Janssen’s blog for other recommendations and follow her on Instagram. My favorite way to listen to audiobooks is Audible. Get a free book by clicking this link! Today’s podcast is sponsored by Audible. 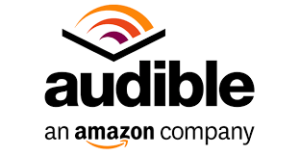 Give Audible a try at this link and get 30 days free and a free book. May I personally recommend “The Four Agreements” or “My Lady Jane”! Treat yo’ self this summer!